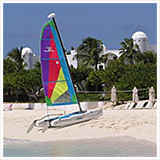 Update 2013: Since this article was written, Temenos Anguilla Golf course has been acquired by CuisinArt Anguilla hotel. 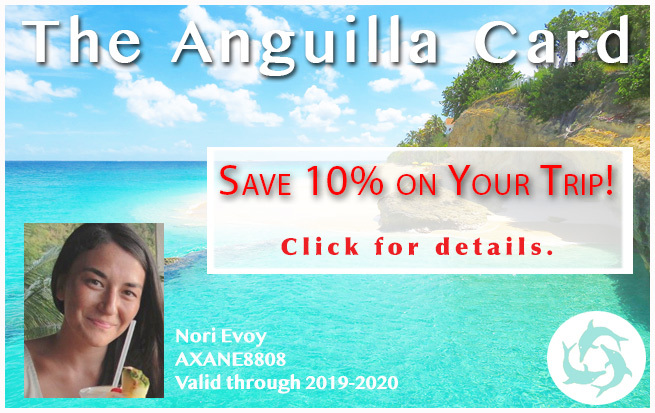 This is a tremendous move for the Anguilla hotel, and great news for all CuisinArt guests interested in golf in Anguilla. 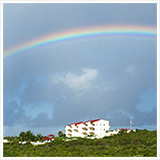 Located right next door to the Anguilla golf course, the course and the hotel now interact as one resort. Update 2016: Since CuisinArt took over the Temenos Golf Course, the course has been brought back to high standards and named one of the Caribbean's best! More on CuisinArt Golf Club today. 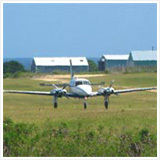 For as long as our family has known Anguilla, it has only ever had one golf course. Sort of. 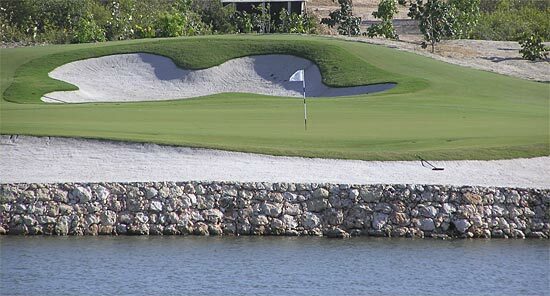 It is not your typical Caribbean golf course. No fancy club house. Actually... no club house. No golf carts or caddies. You might not even consider it to be a golf course. 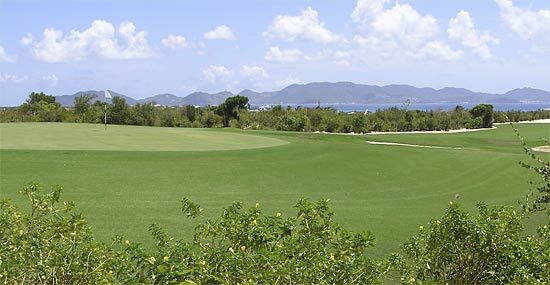 But it has always been the only place to hit a few balls on the island... the only Anguilla golf. Yes, the St. Regis. 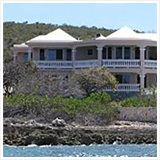 Five-star luxury all around the world, St. Regis also runs the grand Temenos Villa right on Long Bay in Anguilla. 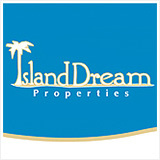 Would you like to own a town house here? No problem, if you have a mere $1.4 million to $13.2 tp spare! 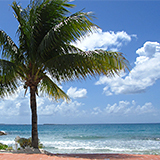 Caribbean golf included in price (I would hope!). 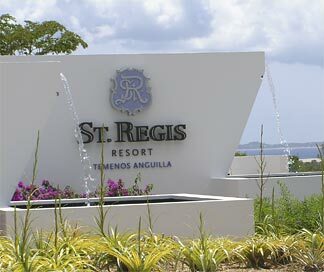 St. Regis plans to complete the entire project by winter 2008. Before the golf course actually opens (November/2006), my Dad, of course, just had to take a tour. But the guards wouldn't let anyone past the gates. Details like that, though, won't stop my Dad. After all, we know every dirt road (and crossable field!) 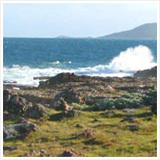 in Anguilla. Kind of a change from the old, brown Pitch 'n' Putt. St. Regis has carved a manicured, sculpted green oasis out of desert. You marvel at St. Martin, enjoy the tradewinds, and play on a perfect green carpet that has 18 holes in it... and lots of sand (not to mention the first freshwater "lakes" on Anguilla). There will also, of course, be a 120 room St. Regis hotel, with all their usual amenities. 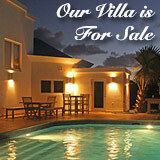 But if you want your own butler, you will need to buy a town house! 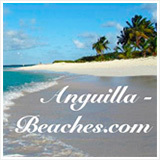 Anguilla has long been a high-end destination without a golf course for all those movie stars and CEOs to play golf. My Dad may like the old Pitch 'n Putt, but most high rollers want to brag about the latest top Caribbean golf course that they've played. Greg Norman design. Lagoons. Trades. Vistas. 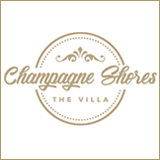 Could this be the best Caribbean golf? Or... let's just pitch and putt?